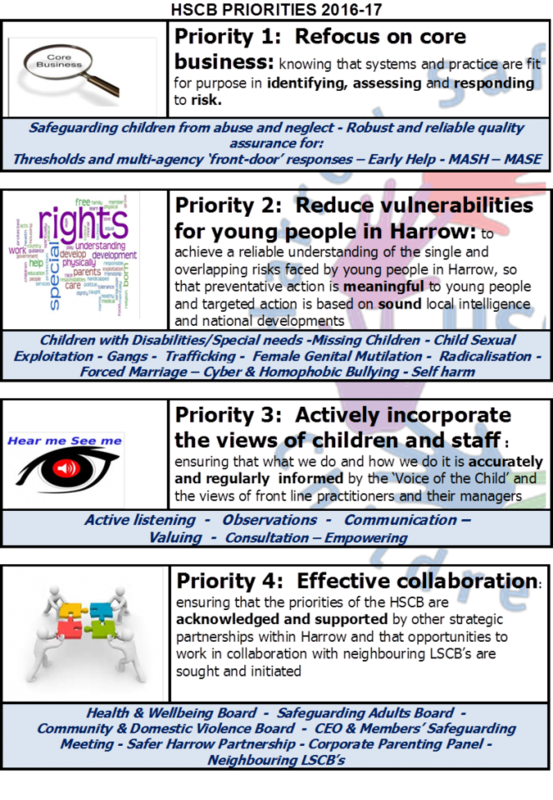 Harrow Safeguarding Children Board (HSCB) is a statutory organisation which became a legal requirement for all local authorities in April 2006. In making the LSCBs statutory bodies, awareness of the importance of child protection is placed high on everyone’s agenda. (b) to ensure the effectiveness of what is done by each such person or body for those purposes. 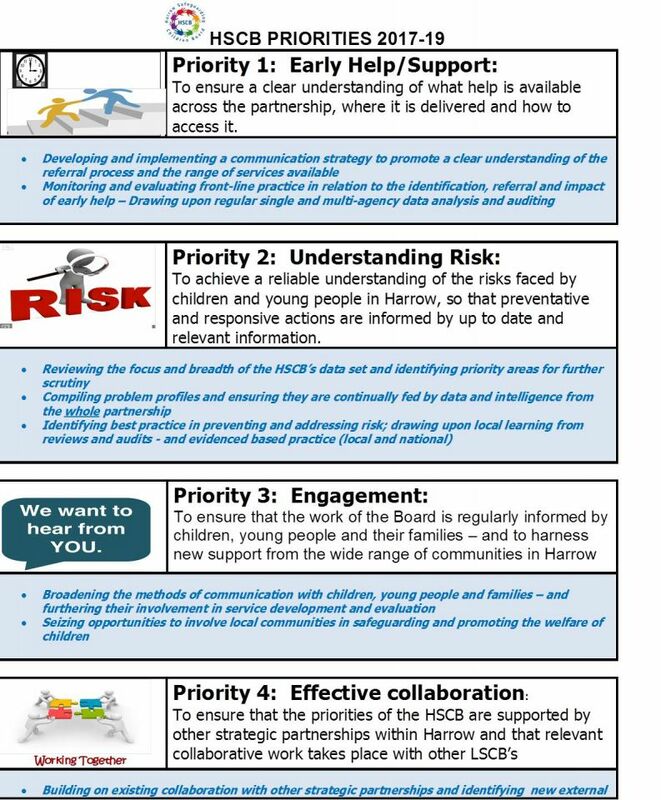 HSCB is made up of representatives from a range of public agencies with a common interest and with duties and responsibilities to children in their area. It has responsibility for ensuring effective inter-agency working together to safeguard and protect children in the area.